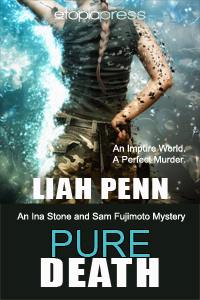 Liah Penn Interview & First Chapter Preview! This entry was posted in Etopia Press, Fantasy, Mystery, News, Romance, Suspense and tagged Daphne du Maurier Award, futuristic, interview, Liah Penn, mystery romance, Pure Death, Romantic Suspense. Bookmark the permalink.